Item # 316855 Stash Points: 2,595 (?) This is the number of points you get in The Zumiez Stash for purchasing this item. Stash points are redeemable for exclusive rewards only available to Zumiez Stash members. To redeem your points check out the rewards catalog on thestash.zumiez.com. 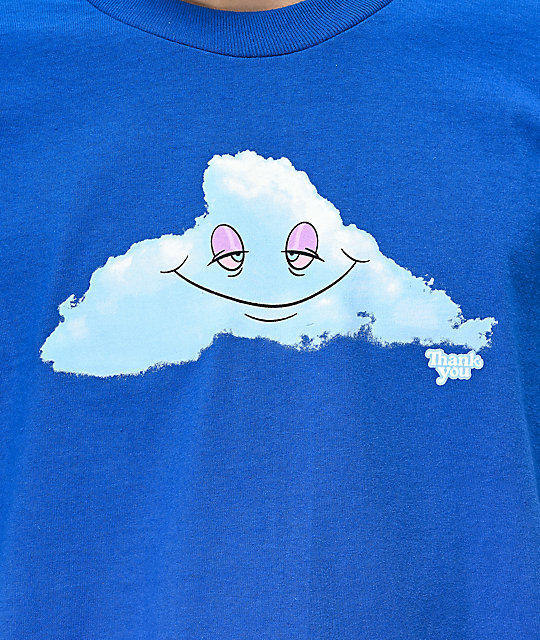 Keep your head in the clouds while wearing the Head In The Clouds Blue T-Shirt from Thank You. 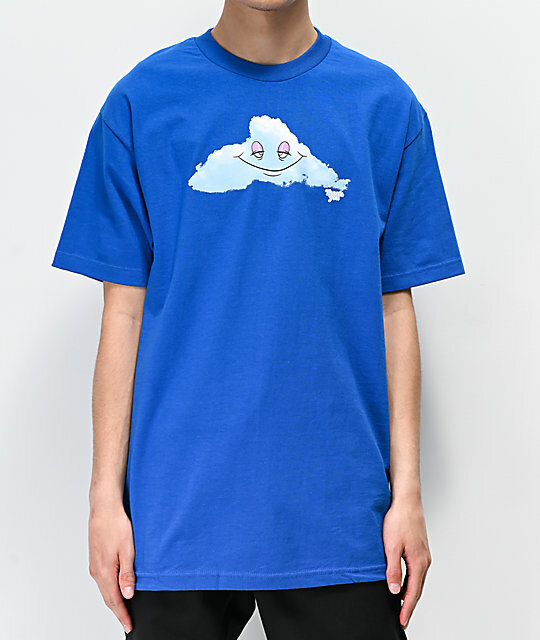 This lighthearted tee features a pure cotton construction and a screen-printed graphic at the chest of a happy cloud with a smile and red eyes. A relaxed fit and tagless neckline keeps things comfortable enough for maxing and relaxing, making the Head In The Clouds Tee an easy choice for casual days. Head In The Clouds Blue T-Shirt from Thank You.